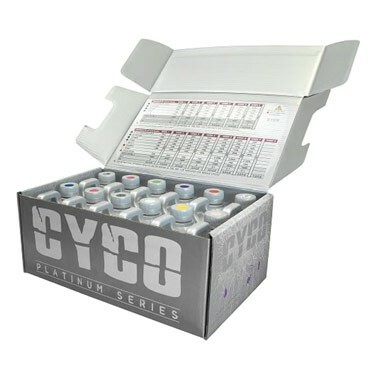 The Cyco Platinum ProKit with Suga Rush is a complete package of superiorly formulated products. Including everything required from start to harvest, the ProKit contains easy-to-read growth and bloom charts for all mediums. 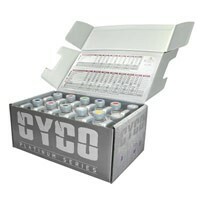 Both charts are based on a week-to-week color-coded system, making the ProKit one of the most user-friendly kits available. This kit contains one 1-liter bottle of Cyco Grow A+B, Bloom A+B, Swell, Potash Plus, Silica, Zyme, B1 Boost, Dr. Repair, Uptake, Suga Rush and an information booklet.